Have you noticed that recently people have been talking about the ‘KonMari Method’ and decluttering? So what about decluttering you ask? If you do know who Marie Kondo is, you would have thought this is an article about spring cleaning since it is still the Chinese New Year. If you are still not sure, let me tell you about Marie Kondo. She is a Japanese Organizing Consultant and author who has written four books that have collectively sold millions in more than 30 countries and even made best-seller in Japan and Europe. At 31, she was listed as Time Magazine’s ‘100 most influential people’ in 2015! 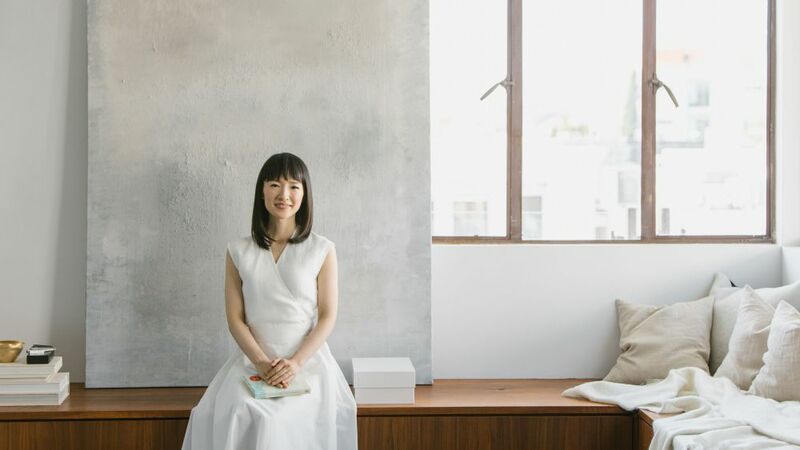 With the release of Netflix series “Tidying Up with Marie Kondo” in January 2019, Marie Kondo and decluttering found its way into colloquial conversations. In the series, she visits American family homes which are full of clutter, to guide them on only keeping things that they found joy and meaning in. Although her practices have influences deriving from her Japanese religion, it can be applied in to a secular context as her main focus is for us to be mindful and grateful for the things we have in our lives. Decluttering frees us from our mental and emotional clutter. Chinese New Year, traditionally symbolizes ushering in a new year and it being springtime, where flowers start blooming again. It denotes a fresh start. A good way to begin each year is to take stock and recalibrate your living so that there are sparks of joy. Like the KonMari Method, consider reviewing things that you have been holding on to and determine whether to keep or throw them; re-arrange various components of life and enjoy the fruits of your hard work. As with the first step of cleaning your home, we take time to sort out what is important and what no longer has purpose. Think about your experiences over the years. Were there lessons learnt from those memories? Did they allow you to grow more resilient? Have those mistakes made you wiser? Let forgiveness take over your hurts, injustices and misunderstandings. If not, it becomes an invisible backpack weighing you down. It will help to list your negative experiences. Identify that particular person or incident that affected you, acknowledge the hurt it caused you and slowly release the pain. Now that you have ridden yourself of your burdens, relook at your responsibilities, hobbies and aspirations. Has carrying the load of your previous backpack caused you to forget the simple pleasures of something like walking in the park at the end of your day? Strive for a well-balanced life. Perhaps by being in control of what we have instead of having too much that will overwhelm us, we can find equilibrium in our living, and better yet, have time, energy and resources to do what makes us fulfilled like helping others. It makes little sense in having a tidy home and yet not being able to live in it. Have you ever slowed down to appreciate yourself for your achievements, or for the strong friendships/relationships you have with friends and family? We should love ourselves a little more. Take time to slow down and pat yourself on the back. Consider rewarding yourself once in a while. If your problems are too difficult to bear, you are not alone. At EMCC, our trained counsellors and mediators will be able to help you. Our Integrative approach to Counselling and Mediation aims to help you find restoration in your life. Our professionals have more than one method to help clutter free your emotions. Remember, you are worth it! Since our establishment in 1997, EMCC has endeavoured to bring hope to broken relationships. We believe the Singaporean society at large benefits from the development of strong relationships and healthy families. Copyrights © 2017 EMCC. All Rights Reserved.